Product #21 | SKU 1510-000-190 | 0.0 (no ratings yet) Thanks for your rating! The 1510 comes with a long side handles, long front handle, retractable extension handle and strong polyurethane wheels with stainless steel bearings. It has an effortless release latch for the extension handle. 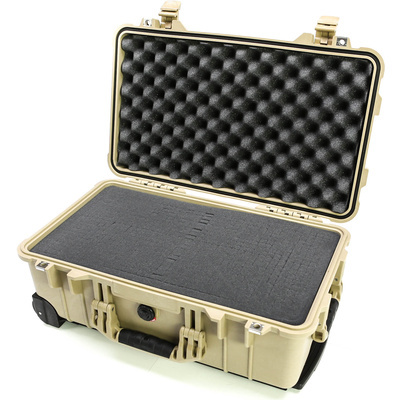 The case meets current FAA requirements for maximum carry on luggage. Perfect for camera accessories and lenses, and travelling. NOTE: This 1510 model Comes with Pick N Pluck™ with convoluted foam.